Spacious pre-war 1 bedroom rental unit in Coop. Entry hallway provides the perfect transition space. Hang your coat, park your umbrella, or use this space as a gallery wall. Turn left into the renovated eat-in kitchen, with butcher block countertops, installed pot rack and spice station, stainless steel appliances including 5 burner stove and full-dishwasher, and a convenient windowed eat-in area. The foyer between the kitchen and living room has a vintage, original built-in curio cabinet and its own window! The area can be used as a flex space. Two arches, one to the living room and one to the angled hallway, add more light and distinctive style to this unit. The generously sized living room , has 2 large windows, parquet floors, and a large bookshelf unit already installed. Nine windows, high ceilings, and original hardwood floors add to the charm of this apartment. Very desirable pre-war coop, with elevators, laundry room, live-in super. Steps from Cortelyou Road's many attractions, including Cafe Madeline, Cortelyou Road Q stop, express bus, Caf Tibet, Key Food, Flatbush Food Coop, year round Farmers Market, Mimi's Hummus, and so much more! This unit is located at 385 E 18 St, a coop in Flatbush. 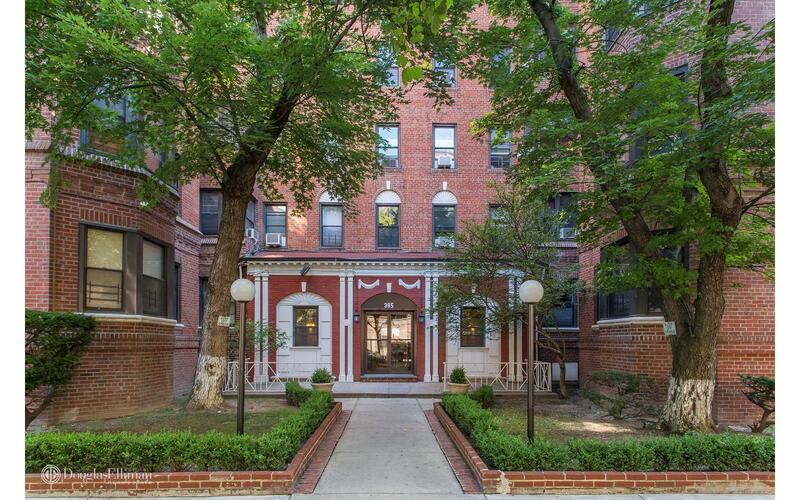 Built in 1940, this pre-war mid-rise property has 71 units.